Did you know that our special forecast performance is above average? 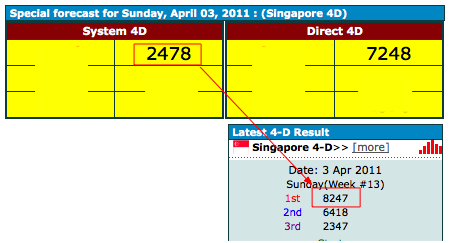 The recent win on direct number 6285 and yesterday win 1st prize system 2478. It is a good place to look out for potential numbers. 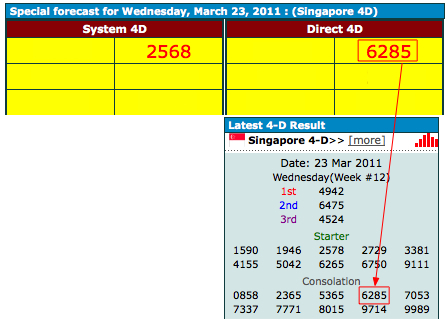 Remember to login everytime before the draw date to see this special forecast.